New book, 144 pages. 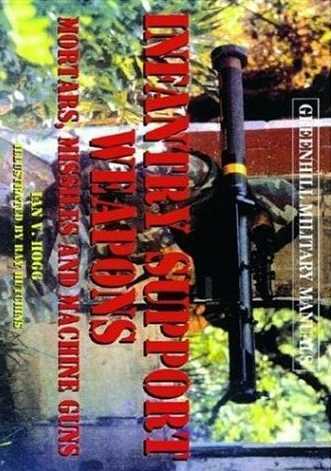 This book covers what are commonly considered the support weapons; the ones which the infantry operate in order to provide forepower over and above what they dispose with their personal weapons. The Machine Gun, the Grenade Launcher, the Mortar, the Anti-Tank Missile, and several other devices are carried by the modern infantryman to provide the soldier with greater firepower and greater effectiveness in order to compensate for lack of numbers and tougher targets. This book does not set out to catalogue every weapon in the various categories; it merely shows some examples. which indicate the war that modern technology has moved over the past twenty years. Each example is accompanied by explanatory text, specifications, photos and illustrations. This item was added to our catalog on Wednesday 30 July, 2008.